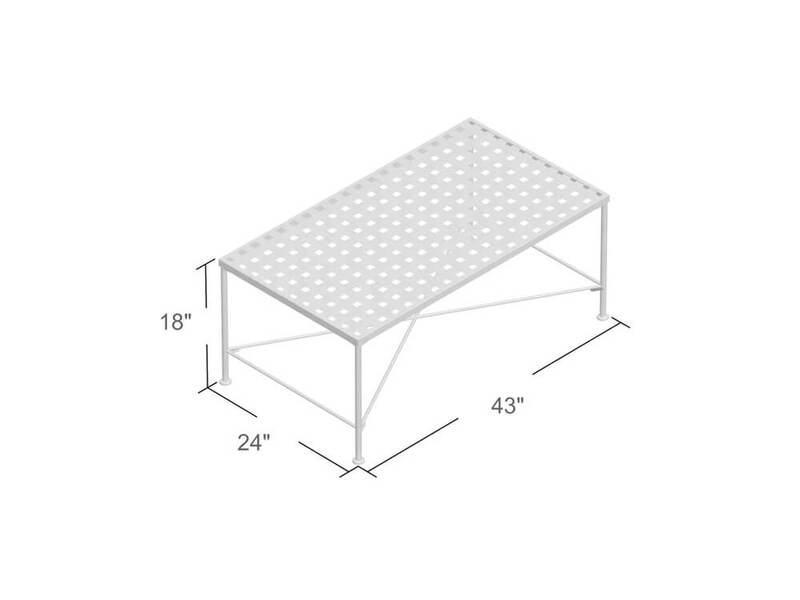 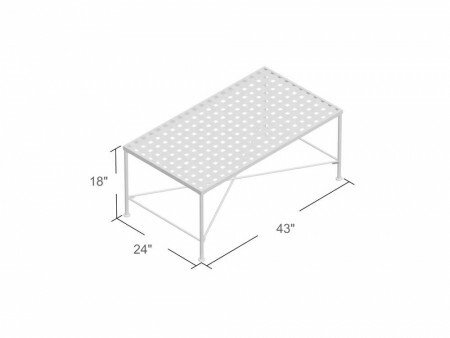 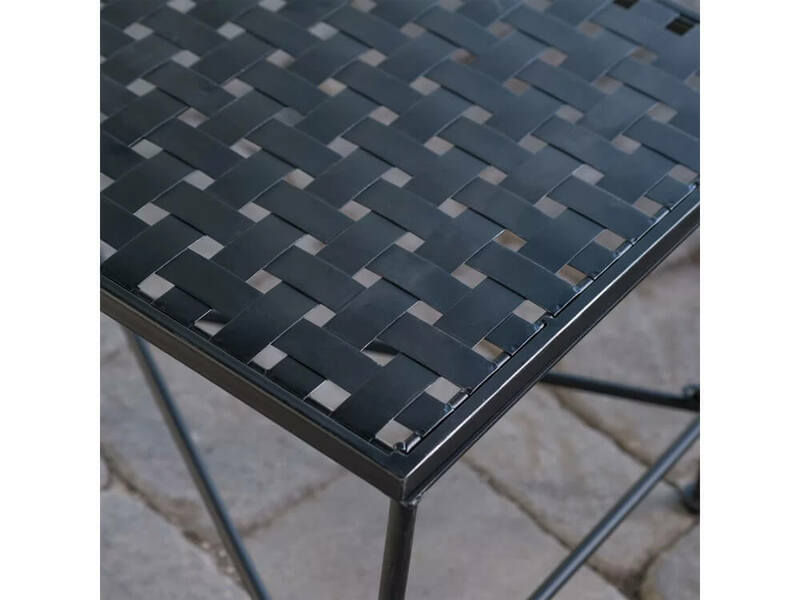 Rent the Outdoor Square Coffee Table from Inhabitr to make your summer more enjoyable! 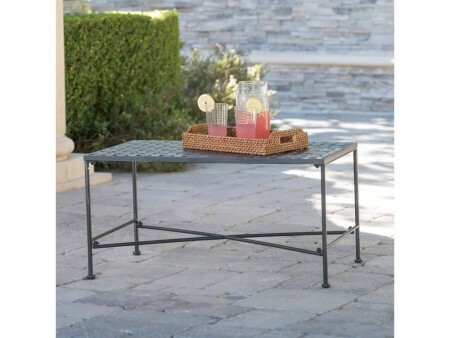 It is the perfect square outdoor table to place your drinks on a sunny day. 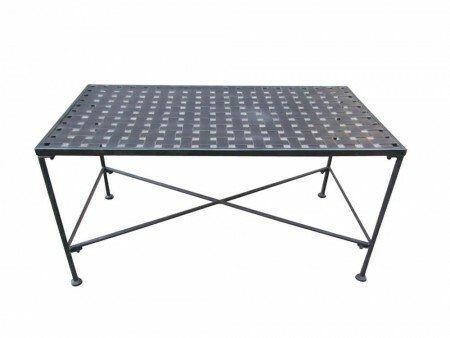 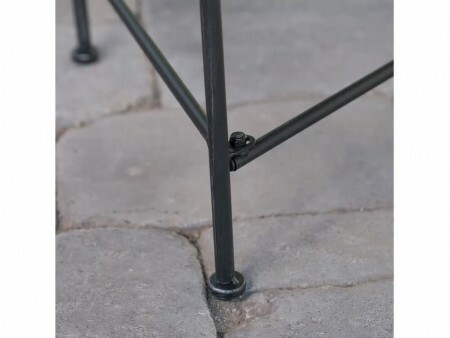 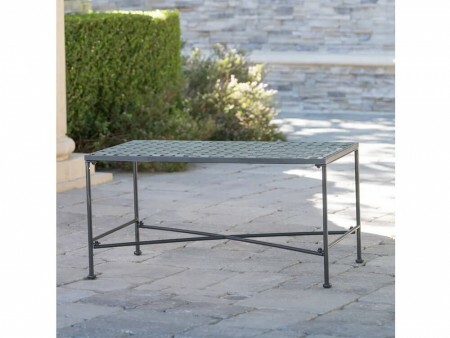 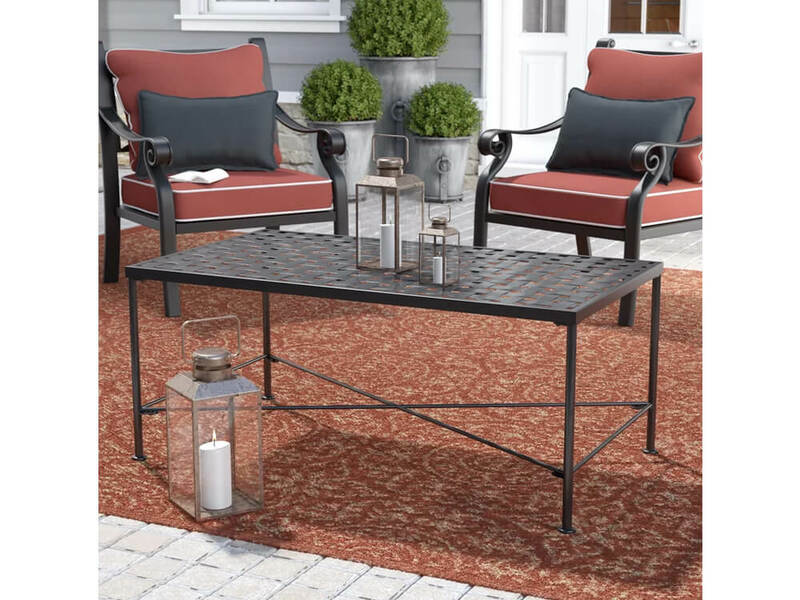 Crafted with durable iron, this table is ideal for any summer occasion in the outdoors, criss cross base detail and trellis pattern surface top. Add chairs or a bench for a full set.